Pelican Parts Forums - View Single Post - 944 Rear Hatch does not open. Thread: 944 Rear Hatch does not open. Just to contribute: I started working on my '83 944 Lux that had been parked up for 10 years right by the sea on the English south coast. It has a hole by the battery (that old classic) that has filled the left footwell with water and destroyed the electrics, savage interior condensation has rusted most other stuff. 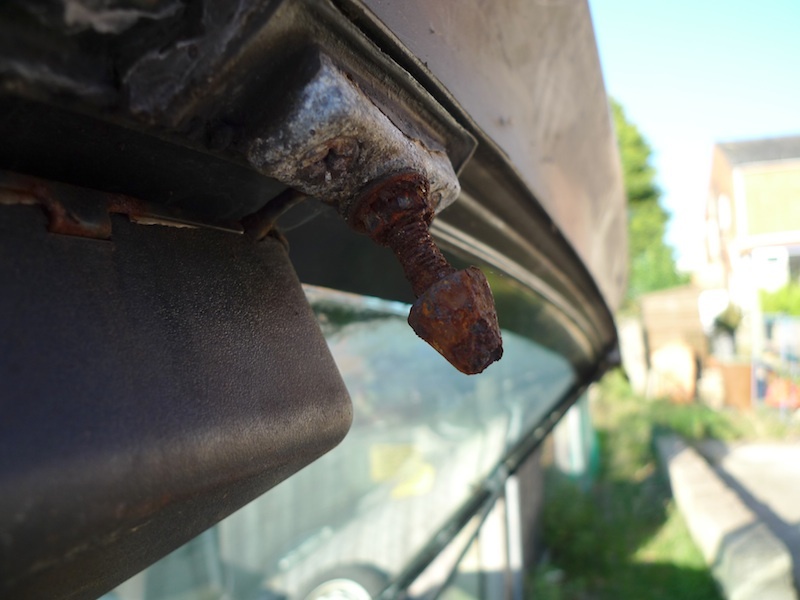 The hatch was seized as the latches and pins had rusted together. Got them apart in the end - not pleasant as the car was mould central. The plated pressed steel brackets that the latch assemblies bolt to had disintegrated, nothing much left on either side, so everything fell off when I finally freed it all up. I parted out a 924 and 944 last year so have loads of spare bits in stock. New pins, latches and rods, greased the lot and now works beautifully. A very gratifying job!